In the insular world of celebrity indie rockers, David Longstreth and Amber Coffman were our Brangelina, our Bennifer — a powerhouse couple working at the top of their game. So it's no surprise that their romantic and creative disillusion would be of keen interest to fans. What is curious, though, is that their split would be addressed clear-eyed and head-on in Dirty Projectors' return as a solo vehicle for Longstreth. "I don't know why you abandoned me," he says through a pitched-down croon on album opener "Keep Your Name." 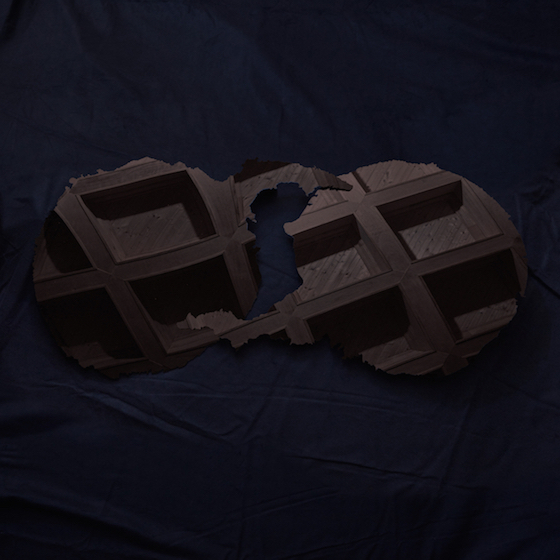 The warped voice is the first clue that Dirty Projectors isn't what we've come to expect from the long-running project. Built on minimalist beats and samples and filled with confessional lyrics often sung through a variety of digital vocal distortion methods, the record feels more like full-on R&B than the kind of esoteric indie rock that marked Bitte Orca and Swing Lo Magellan. But then, given the narrative at play, perhaps a break from the past was always in the cards. If you've followed the press cycle for the record, you'll know it's being marketed as a breakup album, even while Longstreth stresses that its not to be read literally, despite spilling the beginnings of his and Coffman's relationship in detail on "Up in Hudson." What media snippets fail to capture, though, is the album's emotional scope — particularly its larger emotional arc. While it begins with Longstreth spurning his ex-lover, final tracks "Cool Your Heart" (featuring Dawn Richard) and "I See You" end the record on a more positive note, with the narrator coming back from the emotional brink to accept that even the most painful breakups lead to personal growth for all parties involved. "Woe-is-me" and "blame-the-girl" narratives are suggested by its most headline-grabbing lines ("What I want from art is truth / What you want is fame"), but Longstreth oscillates between his own point of view and that of his ex-lover both real and imagined, creating a far more nuanced walk through a relationship than it may seem at first blush. Of course, no matter how many perspectives are offered, they're still filtered through a single person. Coffman will have her say when her solo album (produced by Longstreth) materializes later this year.